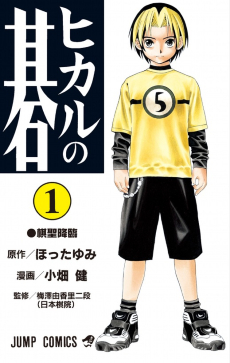 I recently started reading the manga Hikaru No Go, a story about a boy who becomes possessed by the spirit of a Go Master who lived a thousand years ago. What interests me most about this is that it is a manga (and a derivative anime as well) about a board game. Today I discovered that this title exists about a young Japanese girl who enters the the Chinese world of competitive MajJong. I love this trend…can “Hiraku no Catan” be far behind? Once again I think that the creators of the daily comic strips are watching me. Usually it is Jimmy Johnson who pens Arlo and Janis. This time it is Bill Amend in this Sunday’s Foxtrot. If you read my last blog entry you would know what I mean. i’ve always enjoyed comics…from my early days in the late 60’s and 70’s reading x-men and fantastic four…to the 90’s years with batman and spawn, …then on to graphic novels such as the watchmen, from hell, sin city, and the dark night returns…more recntly its has been manga such as akira and alita…and now i have discovered the wealth of funny and interesting web-based comics…for geek humor check out dorktower and megatokyo…but for the more serious side go to scott mccloud’s site and check out the links there (some require paying 25 cents to read…could micropayments really be catching on? )…and this leads back to print material: if you have ever been intersted in the comic as information media and/or art-form, then get “understanding comics” by scott mccloud…it is a great read.